Looking for the best deviled eggs recipes on the internet!? You are in the right place. Here are 15 Delicious Deviled Eggs Recipes for every occasion! One thing that has become an absolute staple in our household since going low carb is deviled eggs. Since purchasing my Elite Cuisine Maxi-Matic Egg Poacher & Egg Cooker with 7 Egg Capacity making deviled eggs is such a breeze that they have become my easiest way to hit my protein macros and have a fast and easy lunch or snack in minutes. That being said… one can get pretty burnt out on eggs – and fast! Which is why it is important to keep ingredients on hand to change up your deviled eggs so you are always satisfied with these little bite-sized protein bombs. 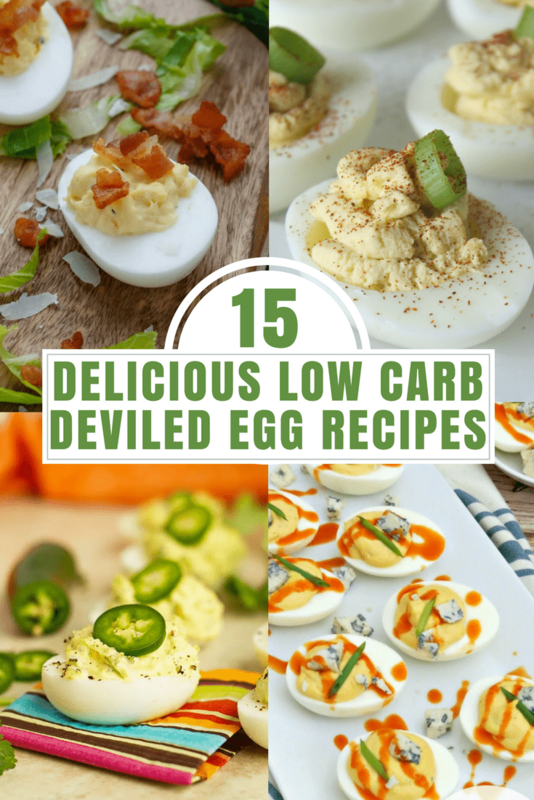 Here are my 15 Favorite Deviled Eggs Recipes that are as simple as they are delicious! Enjoy!